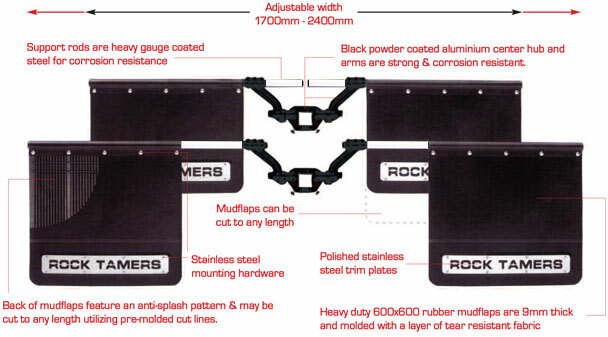 Rock Tamer 750mm wide mesh to suit vehicles towing camper trailers. 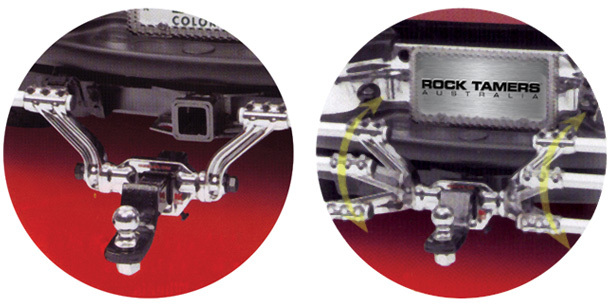 The 750mm mesh insert is designed to protect camper trailers only. 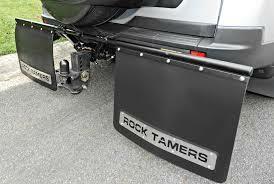 When attached between the two flaps of the Rock Tamer it will eliminate possible stone damage when traveling on gravel and off road conditions. The mesh insert is 750mm wide x 450mm deep and is 720mm between the top corner eyelets. The mesh is a double layer heavy duty rip stop truck mesh and will not fray or tear when holes and slots are cut for electrical and hitch penetrations. This mesh includes stainless steel fixings.